kittens have to go now. For all information see below. 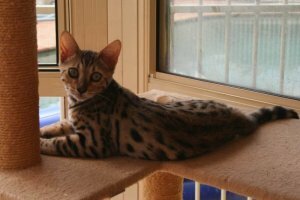 For sale at a reduced price is Honey Suckle a gorgeous brown spotted GIRL. • Loves to play and jump on your lap for a cuddle. • Available for inspection 7 days a week with notice. • Comes with Royal Kitten pack.